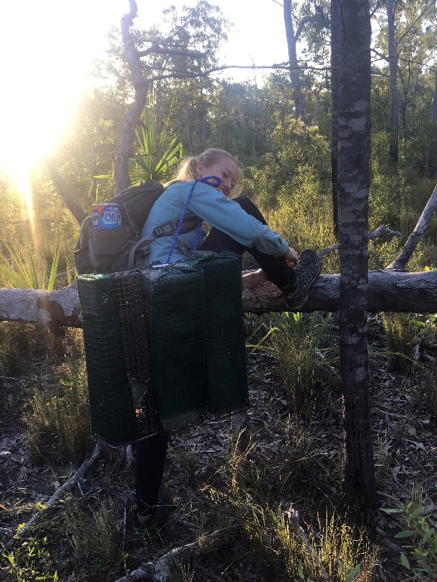 1009 traps and 111 quolls later and we have returned from our 5 weeks of data collection on Groote Eylandt!!! Hannah looking chuffed at her and Ellie's accomplishment - Construction of the cornering runway!!! The trip up there was an adventure in itself, with a flight to Darwin, a quick lunch stop with past lab member Jaime and then a 90 minute flight on a small 30-seater to Groote. We spent the first few days setting up the lab and building the performance structures. It was here that we began acquiring many new skills as handy-women, including taking a whole hour to insert ONE screw with a power drill and nearly sawing off a finger. After 4 seemingly long days as tradies, our structures were fit for quoll performance and we commenced trapping the next night. We are looking at quoll diet and performance in two habitat types, open sclerophyll and rocky escarpment areas. 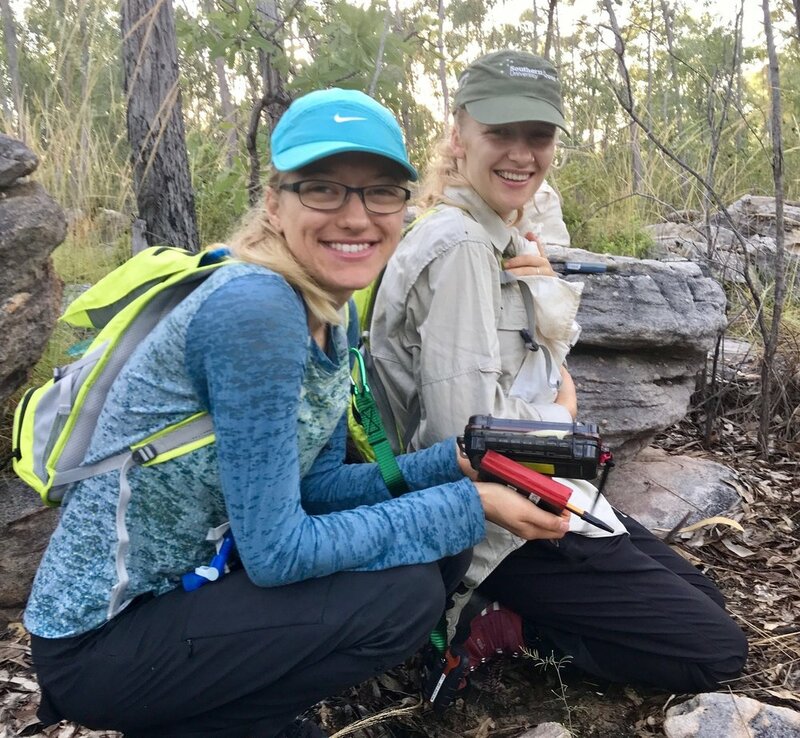 Every evening we would set out traps at a site, check them the next morning, process the quolls during the day and then release them that evening. 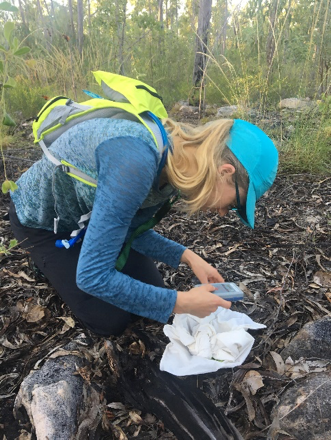 Hannah reading the pit-tag on a quoll in the field - to keep or to let go? Cheeky northern quoll being inquisitive - or angry you can never know. The impressed face of Ellie crying traps in the field at an open woodlands site. Hannah trying to tie her shoe lace without having to put down the trap load. Our sites were beautiful, particularly at sunrise and sunset. We often saw dingoes, frilled lizards and rock wallabies, plus beautiful golden wattle and red grevillea flowers. The beauty of each site made the early mornings and late nights all worth it and we honestly cannot believe how lucky we were to experience such a unique and untouched environment. Sunsetting from HW6 - one of our rocky trapping sites - quolls from here were names after big cats (Tiger, Lion, Civet, Puma etc etc)! 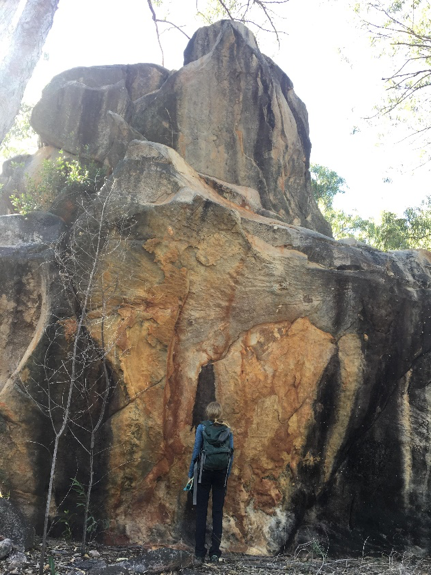 Hannah checking out some of the sandstone formations that Groote has on offer. Ellie enjoying the size and grandeur of the termite mounds on island. Back in the lab we ran the quolls through six performance tests. Up poles, around corners, along straight paths and up and down – it truly was the quoll-ympics. While most were willing, some just wanted no business cooperating which made for some very interesting yoga positions for us, especially when attempting to get them to climb the pole! 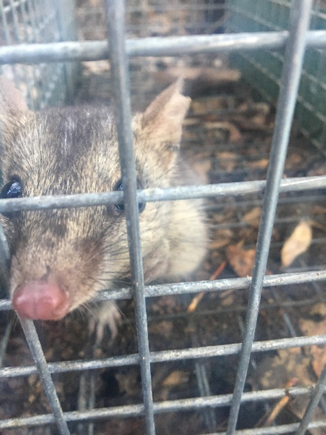 The quolls are master escape artists, and when they’ve escaped once there’s a 100% chance it’ll happen again. We once spent 40 minutes trying to coax one out from behind the freezer, while he sat there contently knowing there was no chance we could squeeze into the tight crevice. One of the tests was the ‘firepole’ which involved a quoll climbing a pole and us scaling a ladder to reach them at the top. As a rough estimation, we climbed the ladder 552 times! Skye and Ellie trying to coax a quoll up the fire-pole. 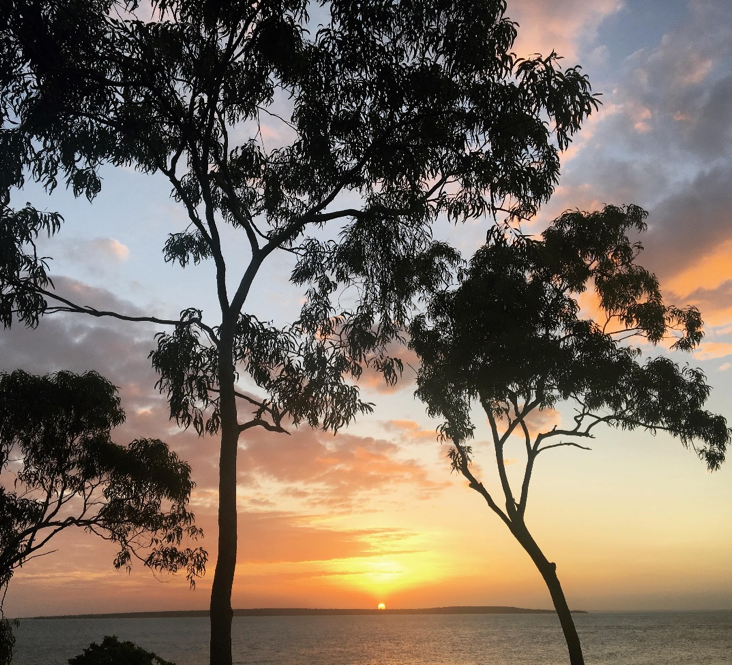 Of course, we also managed to squeeze in a camping spot to beautiful Marble Point, to enjoy a campfire on the beach and an incredible starry night sky, and a trip to aboriginal cave paintings. 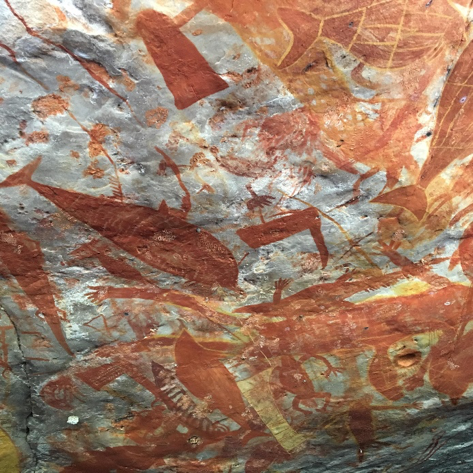 Cave Paintings - this site is a communal gathering area for all family clans on Groote Eylandt. Hannah watching the sunrise from our tent - camping at Marble Point (Hanging Rock). This was our first sleep in in 3 weeks - Bliss! 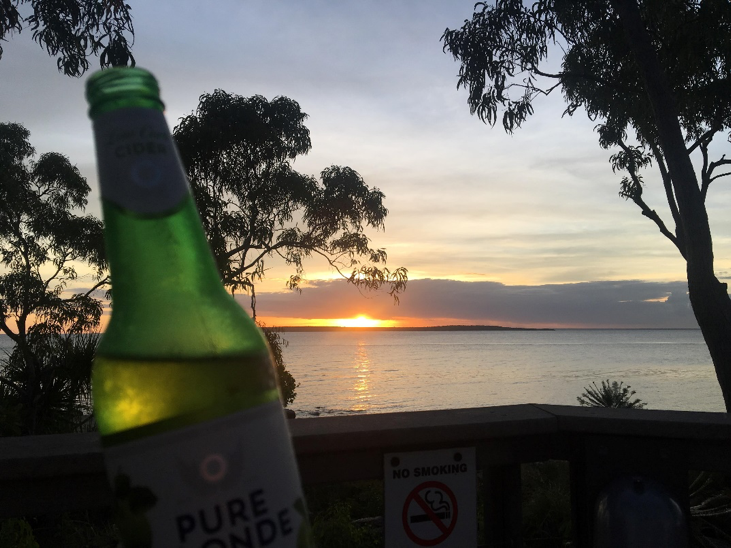 The sunsets on Groote were stunning and we made time to watch as many as possible, either in the field or relaxing on the deck with a cider in hand. While we didn't make it to many - the few sunsets enjoyed on the deck of the resort we amazing. And what better way to wind down after a massive day then a chilled cider, sunset, sugar gliders and great company. There were 5 other fellow lab members on Groote while we were there, and a big shout out goes to Nat and Jess for their delicious vego cooking, Nat and Heather for collecting 95% of Hannah’s insects for her, Nat and Chop for setting up the fire pole and Skye for teaching us how to be expert quoll/trap handlers. The past 5 weeks have been an absolute blast and despite the bites and scratches, we miss the little guys already! Here’s to a whooole lot of data extraction ahead! We did it! 5 weeks of non-stop field work!! Over 500 traps in total laid, 24 camera stations deployed, 40 pitfall traps set, and 13 habitat surveys done!